Well, a road trip with three kids is not actually happiness, but a change of venue is. Right after Christmas, we packed the kids up and made the six-hour drive from Southern California to Northern California to visit my mother and family. The kids actually did great thanks to lengthy naps and the in-car DVD player. Lifesaver! The clear Northern California air and seeing my mother and cousins did my heart good. Nothing like belly laughs and hugs with people you love the most. I even got a chance to hook up with my bestest friend in the world who was visiting her family from the East Coast. My mother had some quality time with the kids while I took a quick drive to Berkeley to visit Body Time. I love everything about this little shop and have been wearing their signature fragrance China Rain since I was a teen. I picked up the Body Moisturizer, Olive Oil Soap, the Oatmeal Complexion Bar and some shaving soaps for my husband. They were out of the Sweet Almond Oil which is another favorite of mine. Body Time was followed by at stop at Daiso for some $1.50 goodies and lunch at Smart Alecs on Telegraph Avenue and it was indeed a delicious alternative to fast food. On the way to the car, a cute little jewelry store caught my eye. My sister, cousin and I ended up spending way more time and money in there than we intended. 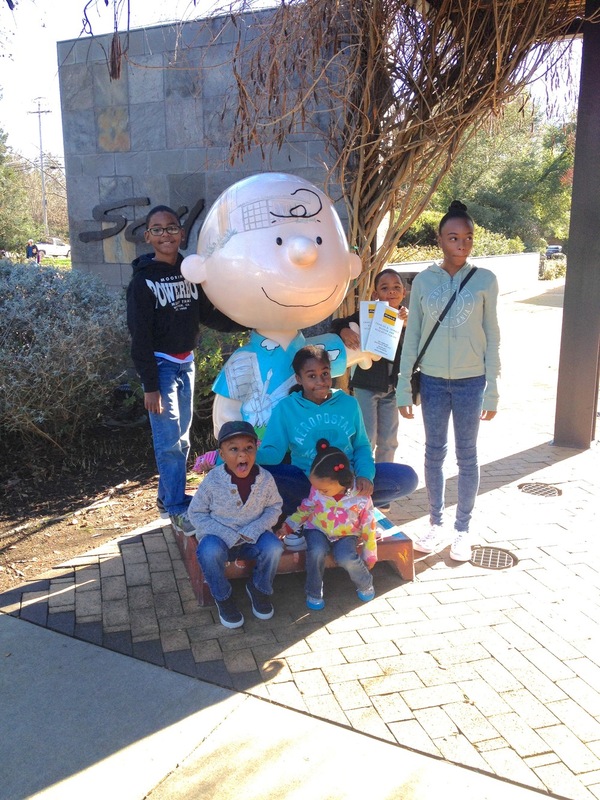 The highlight of the trip was our visit to the Charles M. Schulz Museum in Santa Rosa is we are all big fans of the Peanuts. My cousin joined us and brought his three kids. We started with lunch at the Warm Puppy Cafe which overlooks the ice skating rink (Charles Schulz's table at the cafe remains reserved until this day). An entire wall of Peanuts cartoon strips. 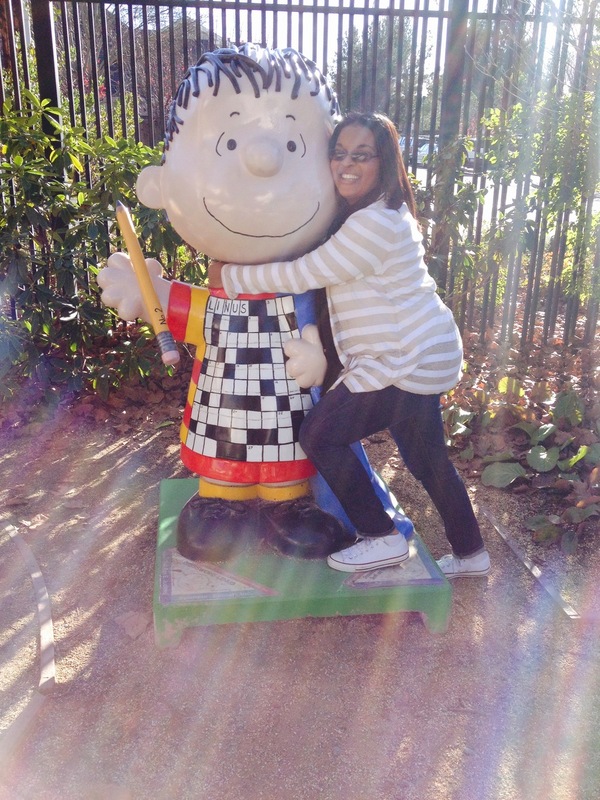 The kids are in Charlie Brown heaven. Field trip success! The kids had a ball at the museum. I wanted to read every single word in every single exhibit but with all the kids in tow, this wasn't possible. Next time though! 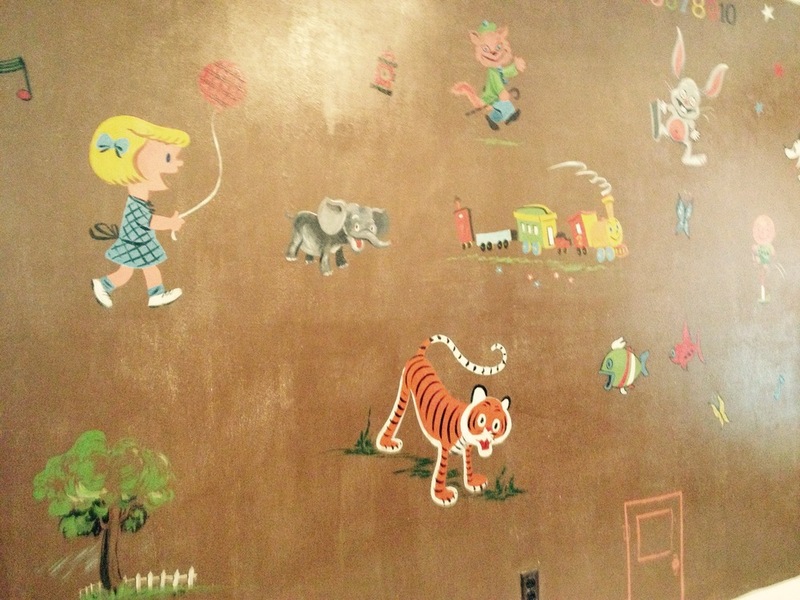 I loved the replica of Shulz's office and the nursery wall her painted for one of his children which was transported from one of his early homes. 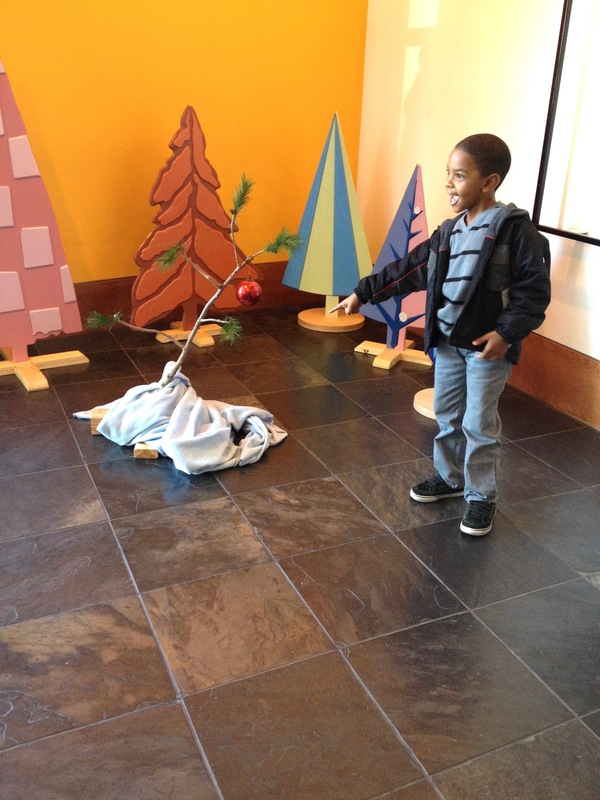 The kids loved the Charlie Brown Christmas tree in the museum foyer and the outside maze in the shape of Snoopy's head. As I type this, it's back to work and school tomorrow, but our little getaway was just what the kids needed.